In this course, you will learn how to counsel others who are hurting emotionally and need your help. You will also receive a Personal Profile and may qualify to be certified to use the counseling model that is taught. Membership in the S.A.C.C. is required for those who are certified and a certificate is provided. The tuition for this course is $235. 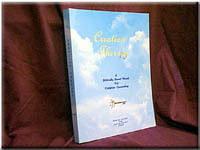 It is provided in a home study format. Click Here to Sign Up For Creation Therapy.